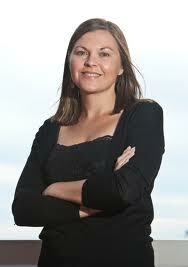 A very timely release to be published on 21st June 2012 – The Longest Day. With the world slowing down all around her in California, eleven year old Julia is still dealing with all the experiences of a young girl: first love (with skateboarder Seth Moreno), the suspicion of marital problems between her parents, school and a general fear of the unknown – in each and every way possible. In the dying world the book presents, with birds falling from the sky, trees falling and whales beaching themselves, society splits into those that choose to accept the new timing of days and those who refuse to allow the change to effect their time and strive to keep to a twenty four hour day through the use of black out shades and hiding away from the sun. Colonies are set up in the distance, people leaving and drifting away from their neighbourhoods, teachers and pupils becoming absent from school as people move away, striving to find other places, other areas where ‘the slowing’ might not have taken a grip. With astronauts trapped in space and an uncertainty as to whether they dare try to return to the earth’s atmosphere, this is at once a small tale of a small girl and a global story of a world which has suddenly changed its rules on mankind. When technology starts to fail and break down, townsfolk rely on notes and pictures posted on boards and in store windows to find loved ones who have moved away – a section that cannot fail to recall the images of the lost after the 9/11 attacks. 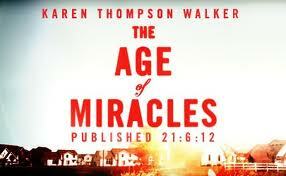 ‘The Age of Miracles’ is a sometimes melancholy tale, thought provoking throughout but an altogether wonderful book. It’s a book that instills what’s important, what can be stripped away from humankind and yet keep us human. And you can get your copy here to read through the long days ahead.